Restoration Carpet Cleaning in Boise, Meridian, Eagle, Star, Kuna, Nampa, Caldwell. ULTIMATE CARPET CLEANING SERVING BOISE, MERIDIAN, EAGLE, STAR, KUNA, NAMPA, CALDWELL, AND THE REST OF THE TREASURE VALLEY. We sanitize our equipment between each job to GUARANTEE we won’t be dragging in debris from a different job. 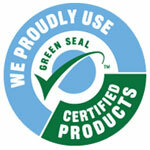 We use green seal certified products and we would never use any products in your home, that we would use in our own. The safety of your family and our technicians is our number one priority. The CRI is a non-profit trade association representing over 95% of the carpet produced in the United States. They perform testing on cleaning solutions, spotters, and equipment. They tested 25 popular cleaning solutions against plain water for cleaning effectiveness and only 4 cleaning solutions cleaned a soiled sample of carpet better than water. Some of the others caused the carpet to resoil faster and worse, some even damaged the carpet’s texture or color. The IICRC is an independent body that provides our technicians with the finest, most complete technical training available in our industry. Our technicians earn their certifications through study, experience and successful completion of formal in person training and a written examination testing them on the chemistry of cleaning, textile construction, and industry procedural standards. 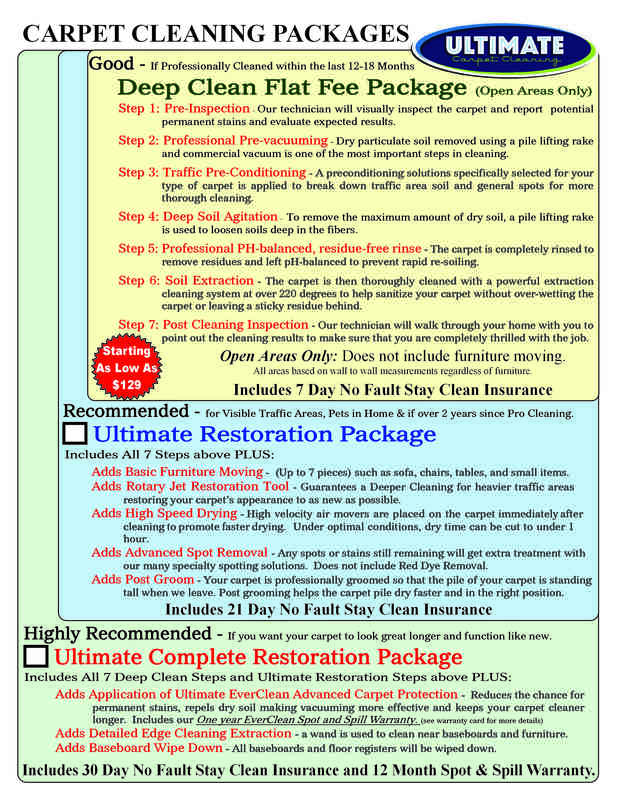 CARPET CLEANING PACKAGES TO TRULY CUSTOMIZE YOUR CLEANING! We will mix and match the cleaning packages below to customize the cleaning specifically to your home. Far too many cleaning companies, especially big franchises, just dump a one size fits all on all of the rooms in your home. That isn’t very smart! Why treat and clean all of the rooms in your home the same, as no 2 rooms are used the same. We don’t have a one size fits all cleaning package like all the big franchise carpet cleaning companies. We are not a franchise, we are family owned and proud to be able to customize every carpet cleaning service specifically for your home, your family, and your budget. 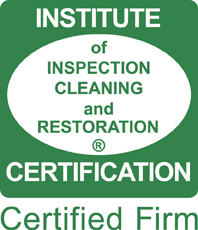 In order to truly customize your cleaning, we will need to perform a FREE in-home inspection and quote. Call us at 208-336-9858 or schedule your FREE IN-HOME QUOTE AND INSPECTION HERE. This FREE in-home inspection can be performed the same day as the cleaning or days in advance of the service. Just let us know which you would prefer. A 7 DAY, 21 DAY, or 30 DAY NO FAULT STAY CLEAN INSURANCE. This is great for for the accidental spill that occurs after we leave. if an accidental spills lands on your freshly cleaned carpets, we will return to take care of the problem.